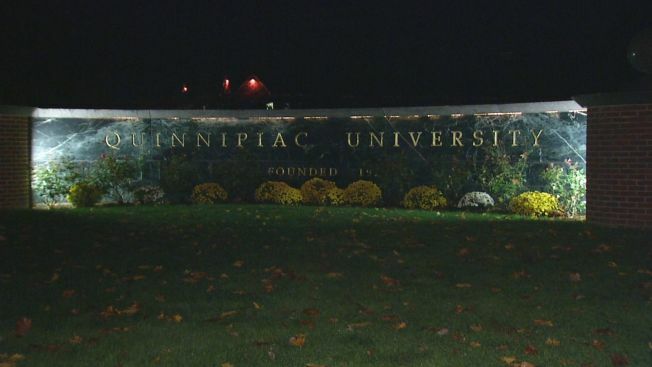 Quinnipiac University is now coming down on students who throw rowdy, off- campus parties. Students who hold off-campus parties that are broken up by police could face dismissal from the university, school officials said. It's a warning that didn't sit well with some seniors whose parties police had to deal with just last week. "Quinnipiac University and the Hamden police have always done a good job in making sure residents in the area and students are safe," said Brian MacDuff, a senior at the school, whose party was broken up by police Halloween night. " "But at the same time it is college. Partying is going to happen, he added. Just last weekend Hamden Police had to break up nearly 15 large house parties. 22 students were arrested and charged. "If it's not a Quinnipiac owned house, then I don't believe Quinnipiac has any right to do anything, let Hamden police take care of it," said senior Jared Zelin. The school is now saying to students if you're arrested you'll "face dismissal from the university." Some neighbors thought the new warning was over the top. "I think that's a little extreme…because any of the parties they've had as far as I know they've never had any issues," said Stephanie Tice of Hamden. Police and university officials say as long as the off campus parties are under control there won't be any issues.